Besides being a tasty treat, honey has a number of beauty and medicinal uses. For centuries it has been used for its anti-inflammatory and anti-bacterial properties. It has been used as a treatment for some illnesses, a vitamin supplement and is also known to moisturize and disinfect the skin. Always consult a doctor before using honey as a treatment. Bacterial infections - soak raw garlic cloves in honey and take 1 teaspoon of garlic infused honey 3-4 times a day. Burns - to soothe, apply honey to the burn. Cough or Sore Throat - heat 1/4 cup Honey with 3 tablespoons lemon juice. Take one teaspoon of the warm syrup as needed or add to a warm cup of tea. Cuts - apply honey to the cut before bandaging. This will clean the cut. Energy - eat a tablespoon of honey daily. Speed up metabolism by using honey instead of sugar throughout the day. 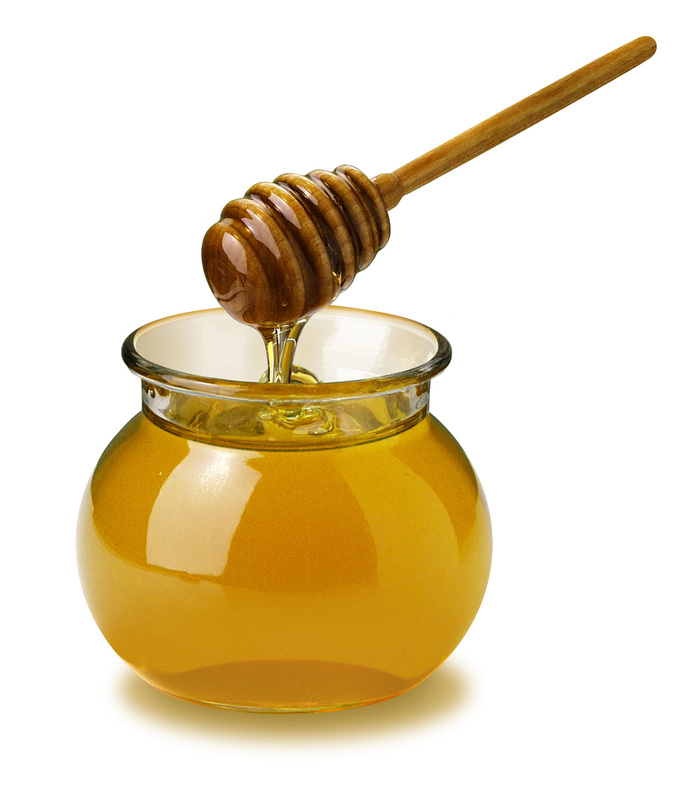 Indigestion - to relieve, take a spoonful of honey. Acne - wash your face with a little honey and warm water. Dandruff - after shampooing, apply a little honey to your scalp. Let it remain on scalp for a few minutes before rinsing. Hair - to control frizziness, after washing apply honey to the ends and let it sit for a few minutes before rinsing. Elbows - apply honey to clean elbows. Allow honey to remain on your elbows for 30 minutes before rinsing. Face - give yourself a honey facial. Peel and remove seeds from a cucumber. Puree the cucumber and extract 2 tablespoons of juice. Stir 2 tablespoons honey into the cucumber juice and add 1 tablespoon of Milk. Apply the mixture to your face for 20 minutes, rinse well. Hair Conditioner -after washing hair, add a little honey and rinse after a few minutes. Shiny Hair - add a teaspoon of honey to 4 cups of warm water. Pour the mixture over clean hair. Skin - to exfoliate, make a mixture using 1 teaspoon of honey and 1/2 teaspoon of baking soda or add a few tablespoons of honey to your bathwater to soften the skin. What uses you do have for honey?